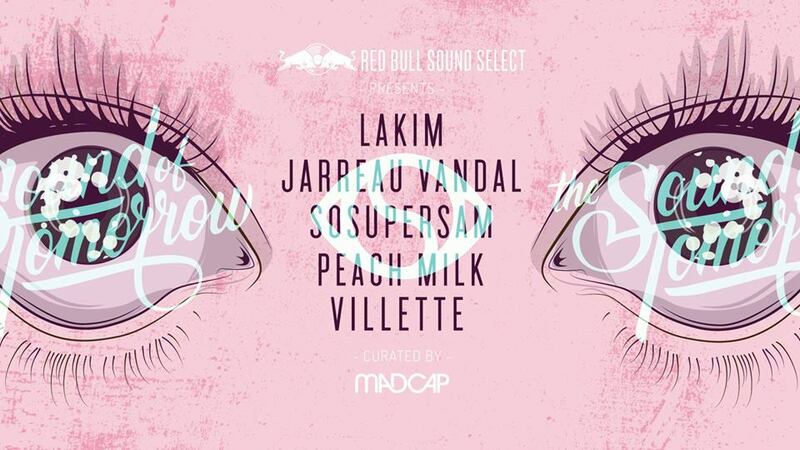 After the massive success of the last collaboration at K Road’s Neck of the Woods last year, Red Bull Sound Select, Madcap, and Soulection are teaming up once again to bring Jarreau Vanadal, LAKIM, and SOSUPERSAM to Wellington’s Meow (Tickets here). The show, which is taking place on the 24th of February is exciting because of the quality of the Soulection triple-bill on offer. Hailing from Amsterdam, Virginia and Los Angeles respectively, Jarreau Vandal, LAKIM, and SOSUPERSAM each came into the Soulection fold through their own pathways. Raised on classic jazz, funk, soul and 90s hip-hop, rock and RnB, Jarreau Vandal, began making beats after his musician grandfather introduced him to Logic Audio at age sixteen. Since late 2013, he’s slipped out a small but perfectly formed series of original releases and remixes that explore the bleed space between dance music, hip-hop, RnB, and Jazz. A Soulection stalwart since 2012, LAKIM has spent the last half-decade evolving his crisp drums, psychedelic synths, and smooth vocal chops through solo work, collaborations with Mr. Carmack and ESTA, and Janet Jackson and Banks remixes. From Soulection White Label releases, EPs and his 2014 album This Is Her, LAKIM’s reframing of dusty boombap as club-ready dance music has been crucial to Soulection’s stylistic development and growth. SOSUPERSAM is a DJ, vocalist and performing artist with one ear focused on the underground and the other on Hollywood, and she bridges the gap. Well known in the LA club circuit through appearances at Low End Theory, The Do-Over and her RnB club night 143, she uses her entertainment industry connections to champion the sounds of future bass, indie, rap and RnB at marquee events like Fashion Week, Coachella and ESPN’s Super Bowl party. Since 2013, she’s been Vanity Fair’s DJ of choice, soundtracking photo shoots for the likes of George Clooney, Julia Roberts, Idris Elba and Zoe Kravitz. Outside of Los Angeles, SOSUPERSAM has performed around the world with Little Dragon, Erykah Badu, and Soulection. The Soulection trio are also being joined by Auckland-based electronic producer Peach Milk and up-and-coming electronic artist Villette. You can view details of the Auckland gig here.